Fashion is one of the most rapidly changing industries around the world, and Nigeria is no exception. Nigerian fashion is transforming so quickly that keeping your finger on the pulse of the latest fashion styles can be quite difficult. 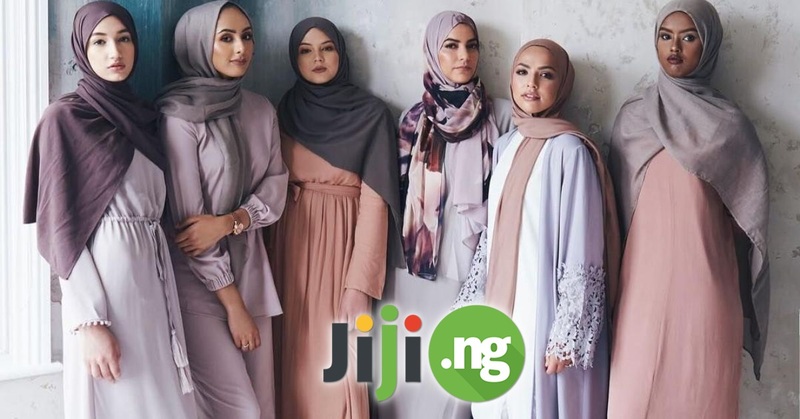 However, there is no need to worry, because our guide to Nigerian fashion styles 2017 will help you update your wardrobe with the newest and most stylish items. The leader among the Nigerian fashion styles of 2017 is, undeniably, the Ankara fashion. 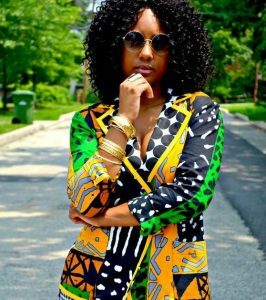 If you’re keeping up with Nigerian fashion dresses, then you won’t be surprised to hear that Ankara is as popular as ever. 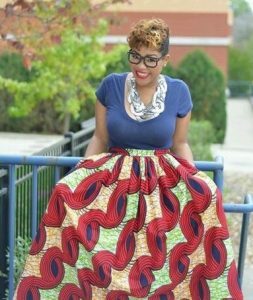 This year you can wear Ankara whichever way you like: as a dress, as a top, or even as an accessory – for example, Ankara bags are gaining popularity among Nigerian ladies. 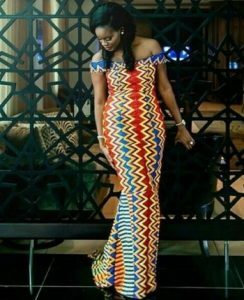 Wearing Ankara fashion gives you a lot of freedom when it comes to choosing the colors of your outfit: since Ankara gowns are usually rich in color and contain dozens of shades, you can easily pick matching shoes and accessories to complete your already stunning look. One of the latest fashion trends that you’re surely going to love is the blazer trend, which can be seen everywhere this season. A blazer is a perfect addition to nearly any outfit. If you look at fashion photoshoots and photos of Nigerian celebrities for inspiration, you will discover that a blazer looks beautiful with nearly any style. The most classic pairing for a blazer is the one with trousers or a skirt. 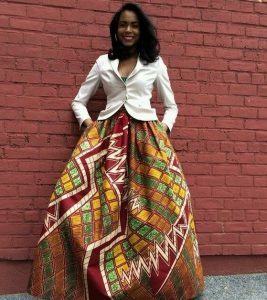 Here you can experiment with colors as well: for example, an Ankara blazer looks awesome with solid-color bottoms, while an Ankara skirt is best accompanied by a complimenting shade of a blazer. Try pairing your new blazer with an Ankara dress as well! One thing is clear when you look at Nigerian fashion dresses of 2017: peplum isn’t going anywhere. Peplum style has been a fashion mainstay for years, and this season it’s as popular as ever. If you look closely at what fashion has to offer this year, you can see peplum everywhere, from exquisite dinner gowns in Nigeria to more casual styles with knee-length dresses and even trousers paired with a peplum top. The best thing about peplum clothing is that it looks great on any body shape. While you can still love every latest fashion design from the most renowned designers of the world, a big trend this year is to follow local clothing designers. Nigeria is known for its vibrant fashion scene, which is why you won’t have a single problem finding a designer whose works you love. Among the most discussed fashion designers of the year we can name Lisa Folawiyo, Wendy Ndugbu, Zizi Cardow, Folake Folarin Coker,and Lanre Da Silva Ajayi, although obviously the list of fashion designers whose styles of dresses you will love is definitely bigger. There is always something to choose from local fashion brands!